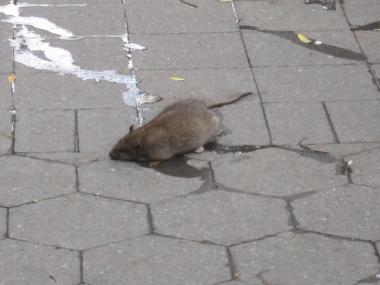 YORKVILLE — Residents worry that Second Avenue Subway construction has caused so much confusion about garbage disposal that trash is piling up in the sidewalks and streets — and providing a safe haven for bagel-eating rats. 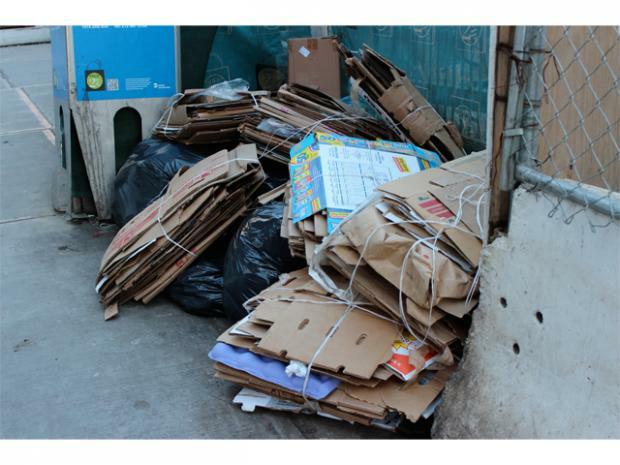 Upper East Siders attending a Community Board 8 Second Avenue Subway task force meeting aired their concerns that rats have been feasting on stacks of garbage left out for pickup by businesses along the East 90s and Second Avenue. The store that drew the most ire from locals was Bagel Express, a popular shop at East 93rd Street and Second Avenue. "The rats love the bagels," said David Rosenstein, a member who lives in the area. "If you go there at 2 a.m. or 3 a.m. any morning, you can watch the rats climbing over the bags, running over the bags. I've had friends who've found rat droppings under the hoods of their cars." Upper East Siders say rats are overrunning a stretch of blocks on the East 90s. "They're now asking for cream cheese," quipped Rita Popper, a CB8 member. But Michael Lee, a manager at Bagel Express, defended the restaurant, blaming the vermin problem on trash pickup problems brought on by the construction. "There's only one place to put the garbage. Everybody puts it in the same place," Lee said of residents and other nearby businesses, which include a Subway sandwich shop and a bar. Lee added that the city told him to put the garbage at the corner of his business, which is located at 1804 Second Ave. He said he pays for a commercial hauler to remove his garbage, too. Garbage is put out a half hour before 5:30 p.m. pickup, he said, and doesn't sit out overnight, as residents claimed. "I have to put it out 30 minutes [before pickup] to take out the garbage," he said. "Sometimes people complain, but we don't have a choice." Linda Reed, who lives at East 93rd Street and Second Avenue, agreed that construction has emboldened the rats and made some people unsure where to dump their waste. "They just come right out. You just walk down the street and they're everywhere in front of you," said Reed, reached by telephone after the meeting. "I would meet somebody for dinner down the street and later, when leaving the restaurant, you would see the rats." Worse, Reed said, is that construction has prompted some area businesses to become lax in their garbage disposal practices. "Because their whole area is blocked off, it's easier for them to walk a half a block over and dump it on the street," she said. Residents said they have long voiced concern about the pests, but claim that their complaints get lost in bureaucracy. "The MTA said they weren't responsible for the rats unless they were living in their construction signs. The Department of Health said, 'You don't really have a rat problem. You're just seeing the same rat in different places,'" Rosenstein said. "It's really serious. You can't keep passing the buck." Richard Mulieri, senior director of government and community affairs at MTA Capital Construction, said at the meeting that the agency was well aware of the rats and was working with the contractor to clean up construction refuse promptly, including an additional cleanup at the end of the day. Officials with the Metropolitan Transportation Authority also said that it's not responsible for rats. "There is absolutely no correlation between Second Avenue Subway construction work and the area's rat population," MTA spokesman Kevin Ortiz said. The Department of Sanitation, too, said that it is aware of the problems associated with the area. It is conducting outreach with fliers "informing merchants and residents alike on when, where, and how to put out their trash to minimize pest issues," Sanitation spokeswoman Kathy Dawkins said in a statement. It is deploying additional crews as well, Dawkins said. But rats — and even a lot of the construction and commercial trash — are not the department's problem, she said. "The department has observed that the bulk of the trash is commercial waste, which under law the department can not remove. While Sanitation addresses trash and litter conditions, its jurisdiction does not include pest control — that is the responsibility of the Health Department," Dawkins said. The Department of Health and Mental Hygiene did not respond to requests for comment.